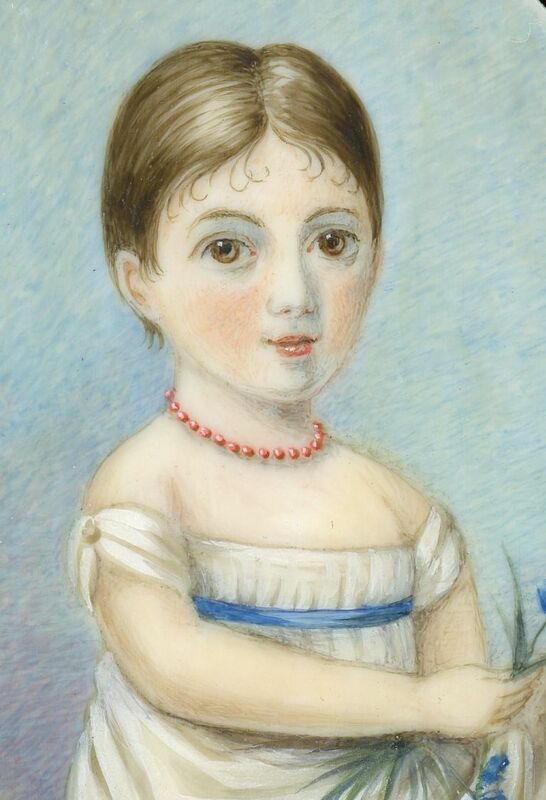 This is a charming portrait of a young child (could be either a boy or a girl but I favour it being a girl) with short hair curled over her forehead. 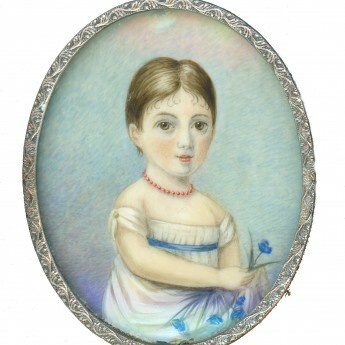 Wearing a simple white dress with short buttoned sleeves and a blue ribbon sash together with a coral beaded necklace, she is holding an eye-catching bunch of blue cornflowers. 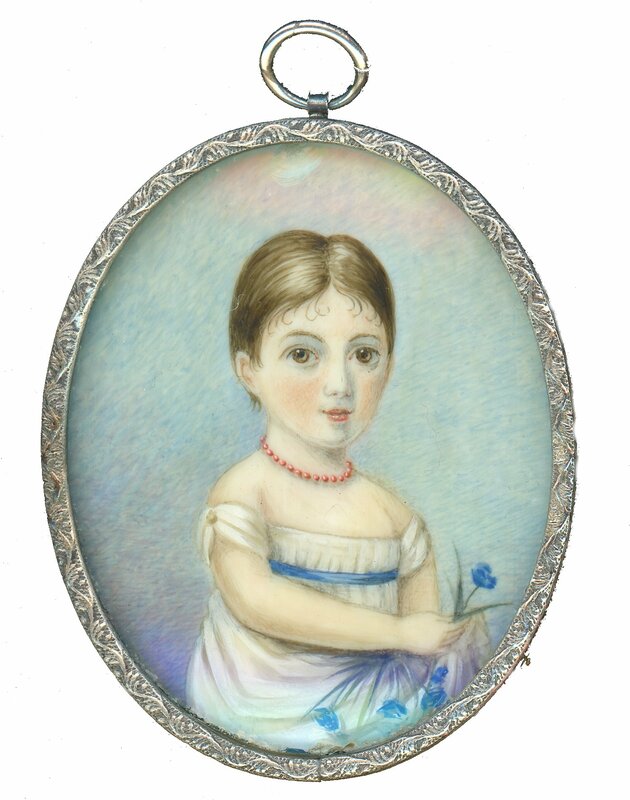 Watercolour on ivory set in a pretty silver coloured frame with a card backing. There is a small chip to the glass at twelve o’clock otherwise in perfect condition.